Using the fussy cut end of the ruler, I have made a candle mat for my table....a bit of fun!!! Rather hurriedly hand quilted to show at a trading night with Newbury Market square quilters meeting!! 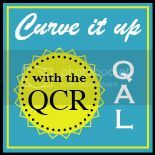 These rulers are such fun!! 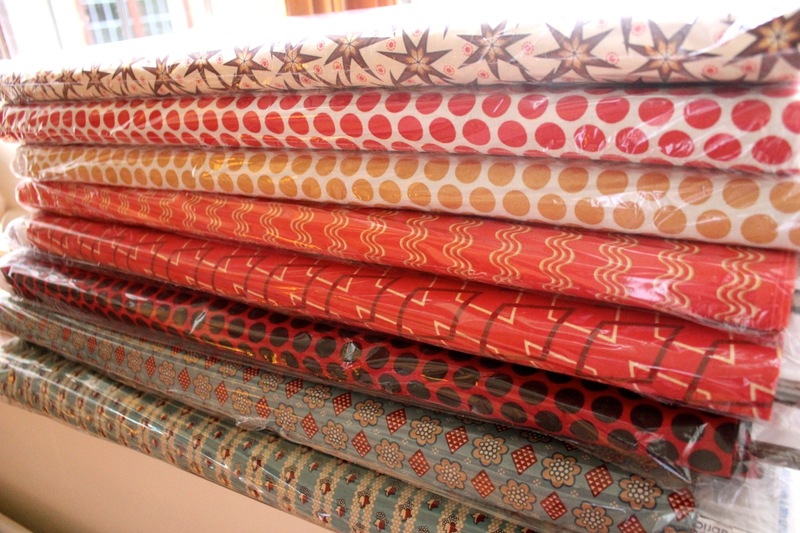 I have also been sewing some tiny log cabin squares with the lovely Andover fabrics now in stock.. The strips are about 3/4" wide and sew up really nicely! 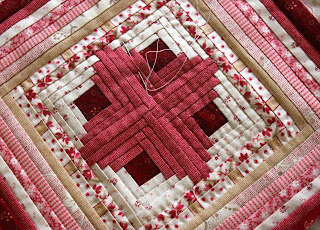 In the process of hand quilting this one too!! As well as these fabrics, I also have this bunch to add to the webshop...still in their packs, but ready to go..
My favourite colours!! 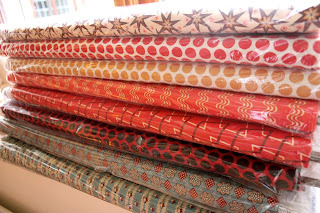 One of my customers, also a Karen is currently using some of these lovelies to make a quick curved ruler table runner!! Good luck with your make Karen!! and great to meet you earlier in the week. 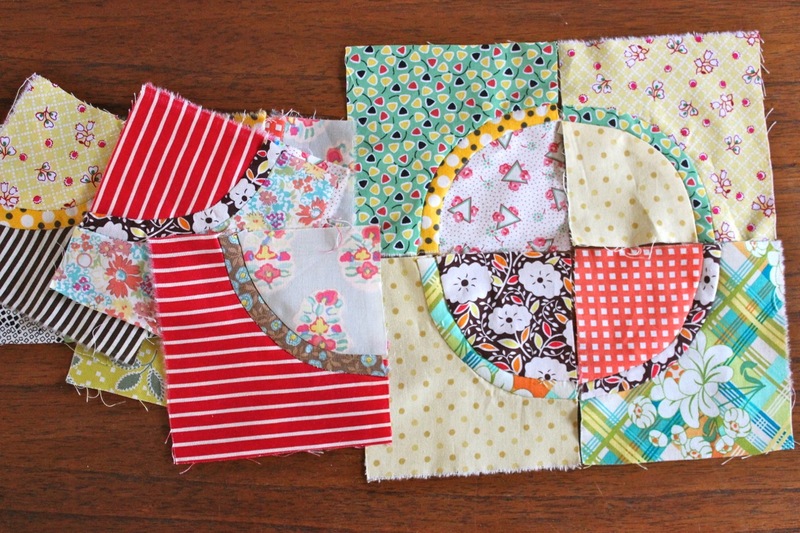 Finally, I have been hand piecing some more of my Green tea and sweet beans quilt...nearly there now!! 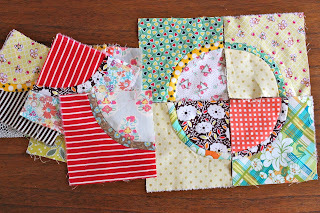 These curved blocks were a little tricky but just need sewing together now. 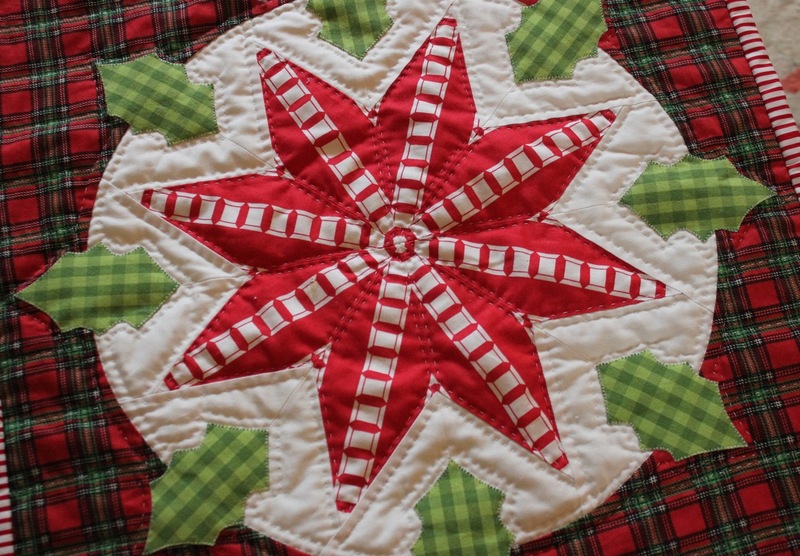 Love that Christmassy star! Amazing. Love your idea for workshops etc. 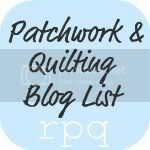 i don't belong to a quilt group and live not too far from Reading so count me in! 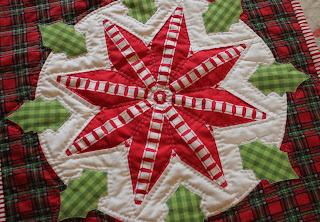 The Xmas star is beautiful! Everything looks great!!! Especially the star. The "Bella" quilt is really beautiful and I do love your fussy cutting.